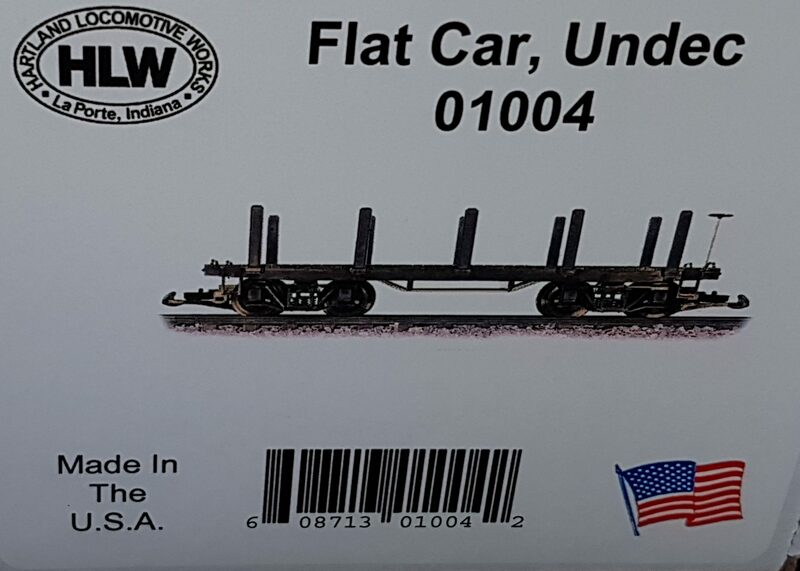 G scale flat car with low wood sides. 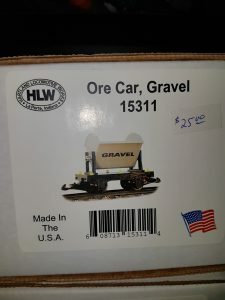 HLW Ore Car, G scale. Marked Iron Ore on the sides. 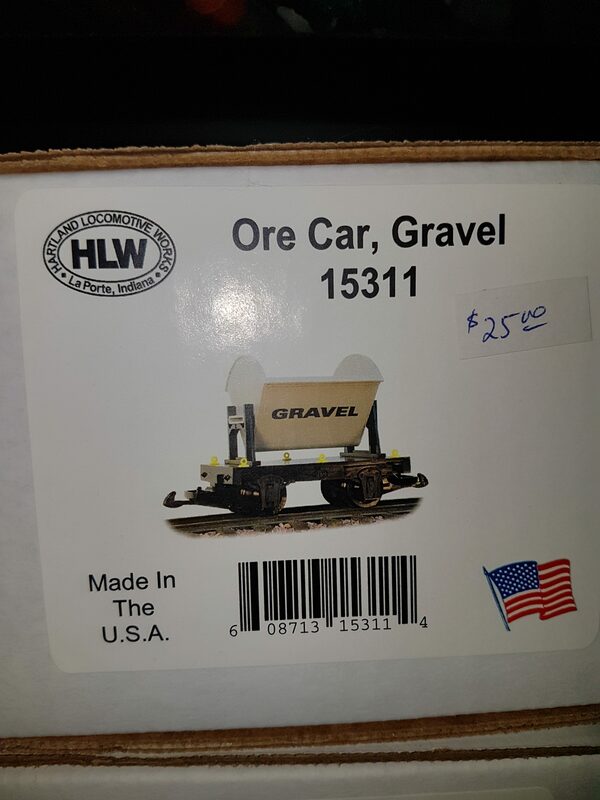 Marked gravel on the sides. Same as ART46950, but in Union Pacific Yellow! 1/20th scale narrow gauge White Pass and Yukon black tankcar. In red with metal wheels. 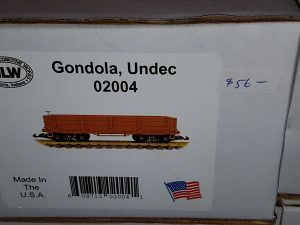 In Denver and Rio Grande Western black, nicely detailed! Put your coal in here! A Pennsylvania Railroad tuscan coloured hopper.